Join us at High North Young Entrepreneur contest. High North Young Entrepreneur contest is an international pitch competition of Arctic-related business ideas of young entrepreneurs and start-ups. The overall goal for the contest is to bring attention to the economic potential and special needs of the Arctic areas and to encourage young people of the High North to develop their business ideas. The contest final is a part of the program of the annual High North Dialogue conference in Bodø. At the final session, three start-ups have an opportunity to pitch their business ideas to 350 conference participants – Arctic experts, and to win financial funding for their business: a check for 50 000 NOK. The idea of the contest came after the High North Dialogue conference 2017 when the prominent investor Scott Minerd of Guggenheim Partners received the High North Hero Award, in recognition of his efforts to highlight the economic potential of the Arctic by promoting long-term investment in the region. Scott Minerd accepted the award with honor and gratitude, and, generously donated the award money to a fund to support young Arctic entrepreneurs and their business ideas. Accordingly, Nord University Business School in cooperation with Bodø Science Park, encourage start-ups from all over the world to apply to the contest, and to travel to High North Dialogue to compete for the High North Young Entrepreneur contest. The contest final took place in 2018 during of High North Dialogue conference session where three young entrepreneurs groups presented their Arctic business ideas to the big auditory of experts in the Arctic issues. The finalists were three fantastic projects: Kystens Sjel – Coastal Soul, Norway, NatureUp, Norway, and The Growcer, Canada. The conference participants voted for the best project straight away after pitching and the winner project became Arctic food systems from Canada. The company CEO Corey Ellis received the award during the galadinner the same day. The final session was recognized as a very remarkable part of the conference, and we, therefore, decided to continue with the High North Young Entrepreneur contest for the years to come. Alexandra Middleton, University of Oulu, Finland. Bjørg Helene Jensen, Innovation Norway, Nordland. 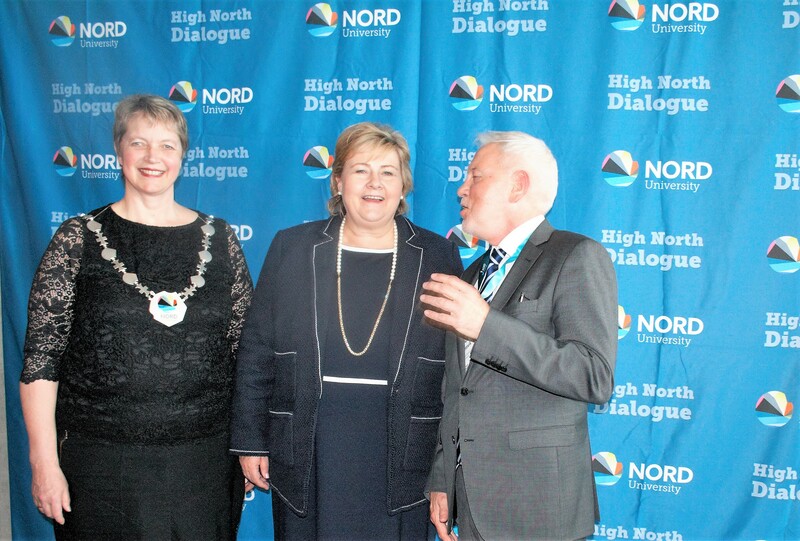 A committee consisting of experts from business and innovations decided on the three companies who will travel to Bodø to present their ideas at the High North Dialogue conference March 18-19, 2020. The final of the High North Entrepreneur contest will take place during the High North Dialogue Conference March 18-19, 2020. There will be three entrepreneurs at the final, which of them will pitch for three minutes. The High North Dialogue conference participants will vote for the best project, and the winner will get the award straight after the completion is over. The award is financed by Innovation Norway, Nordland. Do not hesitate to contact adviser Elena Zhurova: elena.zhurova@nord.no.